Spain were knocked out of the World Cup on Sunday, eliminated after losing a penalty shoot-out against Russia in Moscow. Before the competition began, Spain were one of the favourites to win the World Cup. 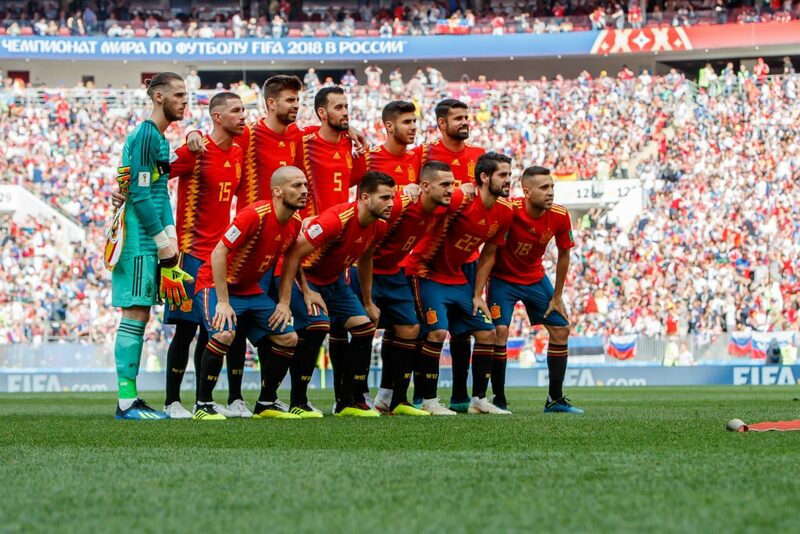 Even after the Spanish football federation sacked manager Julen Lopetegui on the eve of the tournament, Spain were still fancied by many to go all the way, such was the level of talent and winning experience in their squad. Their exit at the hands of Russia, a team not expected to get past the group stages, has led many to question the team's possession-based approach. The 2010 World Cup winners dominated the last-16 game across the 120-minutes. They completed over 1,000 passes and spent the entire match laying siege to the Russian goal, as the hosts put every player behind the ball, frustrated their opponents and held-out for a 1-1 draw. It was a shock defeat and one that has led to a lot of soul-searching for Spanish football. It sounds as though there was a difference of ideas amongst the Spain squad. 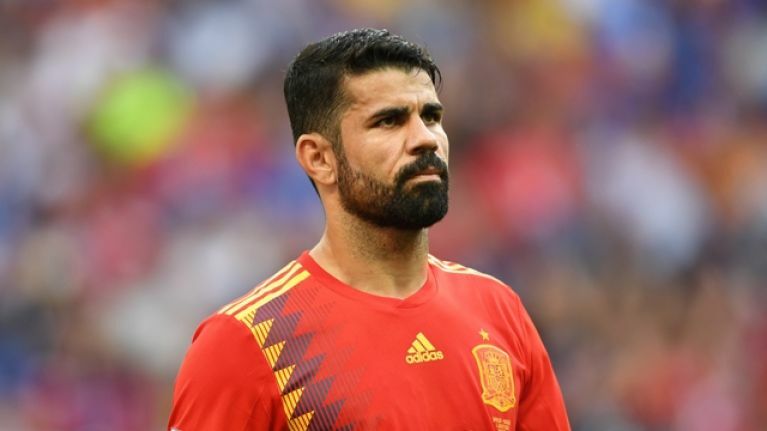 According to Spanish journalist Diego Torres, who writes for El Pais newspaper, some of the senior players - such as David Silva, Sergio Busquets and Andres Iniesta - were against the inclusion of Diego Costa in the starting XI. The Brazilian-born forward started all four of Spain's games at the World Cup, and scored three times. But some in the squad reportedly felt that he wasn't the right fit for Spain's possession-based idea of play, and preferred Iago Aspas to start up front. However, according to Torres, Fernando Hierro didn't follow the advice of the senior players and Spain's stand-in manager persisted with the Atletico Madrid striker. 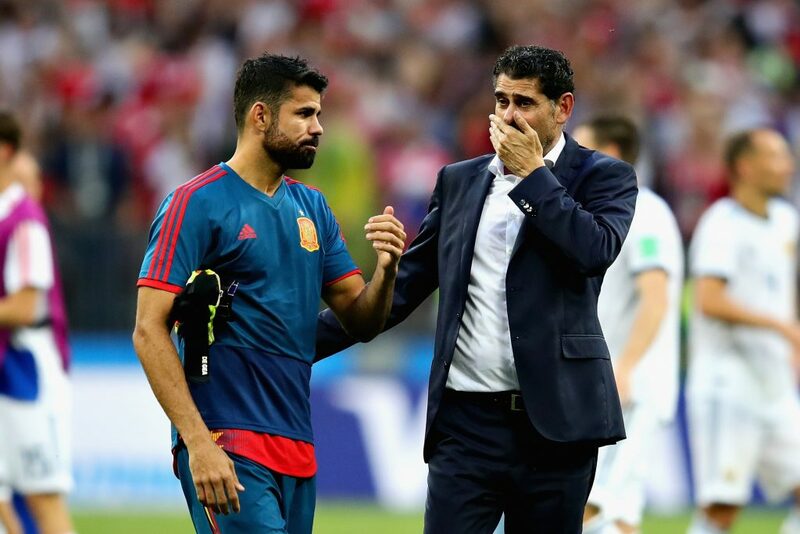 Costa was an isolated figure during the game against Russia. He touched the ball just 29 times before he was substituted for Aspas in the second-half. 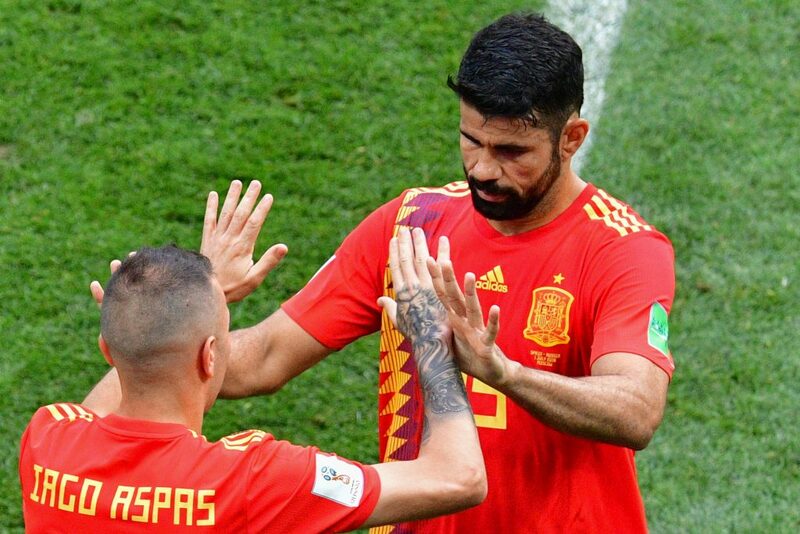 Silva, Busquets and Iniesta made it clear to Lopetegui that they preferred to play with Iago Aspas, rather than Costa. Hierro's decision to persist with the striker reportedly isolated some of the players. "Iniesta and Silva felt in the spotlight. Diego Costa, the apex of the attack, was the barrier against which the best generation of Spain collided in two successive World Cups." Xabi Alonso, Xavi and Busquets also argued against the inclusion of Costa in the team at the 2014 World Cup, when the defending champions crashed out in the group stages. According to Torres, some of the senior players were against having Costa in the side because they did not want a "fixed reference" point (a traditional centre-forward). Spain played without a recognised striker when they won Euro 2012, when Cesc Fabregas played as a "false nine." Rather than lose because of their adherence to their "tiki-taka" philosophy, Torres claims that Spain's exit at the hands of Russia came because they selected players not as skilled in the idea of play that brought them such success. "Ready to play on the counterattack with Asensio, Koke, Nacho and Costa, the team found themselves with a ball that they did not trust so much anymore." He also writes that Hierro considered Isco to be the best player in the squad, and put faith in him as the chief conductor of the team for the Russia match, when Iniesta dropped to the bench. You can read Torres' reports here and here.